AFC Wimbledon had taken over at the Plough Lane site on December 24, 2018. By that time all of the old greyhound stadium was removed and the plot was cleared. 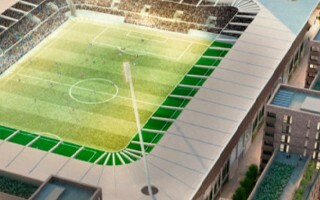 However, following alterations to the stadium design, actual construction is yet to begin. This work is being done by Buckingham Group under a letter of intent and is scheduled to take around 10 weeks to complete. No actual building work is starting yet, and the football club continue finalising the main contract for constructing the stadium itself. With this in mind, there is no groundbreaking ceremony planned. Official opening of the construction process is anticipated when the project goes full ahead later this year.